Control requests to change stations, control volume, skip or pause music, and other basic navigation commands. Interactive requests like “what song is this?” or directional requests like “add this song to my party playlist” or “I like this” to give a thumbs-up. The presence of the “Hey Pandora” wake word phrase suggests this is an always listening solution with true hands-free interaction. However, the app will need to be in the foreground for the touch-free wake word interaction to work. However, even if touch activated, many of the spoken commands will be faster and more convenient that navigating solely by touch and type. Pandora’s announcement names SoundHound Inc.’s Houndify voice platform as the technology behind the Voice Mode feature. A SoundHound blog post elaborated on the new solution. 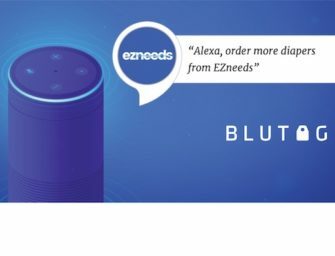 Our Houndify voice AI platform…is uniquely positioned to enable brands to own and customize their voice experiences, so it was a perfect match to partner with Pandora, the leader in personalized audio entertainment, to help power their unique Voice Mode. We’re thrilled to offer our technology to allow Pandora to own the voice experience with a customized voice and wake word. Pandora rival Spotify introduced voice search and a limited number of voice commands earlier this year, but it is very slow, does not have an always-listening mode, and few features are supported. The feature list of Pandora’s Voice Mode is more in line with a full suite of voice commands common to music listening use cases. Amazon Music Unlimited has full Alexa integration on mobile and even more voice interactive features than the other streaming services. And, Pandora through Google Assistant has a broad set of features that the company surely knew they wanted to surpass with Voice Mode. The bar is already set fairly high in the streaming music space and that likely drove Pandora to seek outside help for the voice initiative. Houndify seems like a natural fit for Pandora given the interest in developing a unique voice while maintaining control over the user experience combined with SoundHound’s decade of experience in the music industry. I wouldn’t be surprised to see more independent streaming services tap Houndify for their own voice interactive experience on mobile. Spotify Testing Voice Assistant on Mobile App. A Prelude to a Smart Speaker?